Meet the Team - Connects & Co.
Our Project Workers bring specific skills and talents to the team. Connie organises the groups for Norwich and also helps out with the Dereham project. This means that she is responsible for making sure that everything happens around groups and outings for the Norwich area. She supports the Cadets and provides training for them and runs iConnect. Cadets were founded from her volunteering. She is a former Young Carer and one of our first clients. John, our resident hippy, is our longest standing volunteer. He keeps us chilled and hangs out with us all and offers drum and bass skills as well as art and crafts workshops. Faith has a degree in Dance and was a Young Carer and Cadet herself. Faiths heart has always been with Connects and greatly enjoys being part of the Team running our Young Adult Carer Parent Group and the Cadets scheme. Alex is one of our main Minibus Drivers. He supports Sallie and Phil so they get a break. He is quiet and quirky and likes cheese. 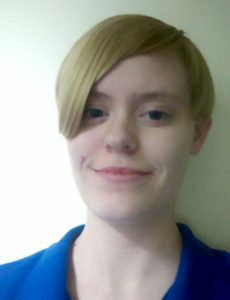 Amy – Is a newly qualified nurse and one of our original Dereham Young Carers. She was also a Cadet and is now one of our regular Volunteers. Nikki Supports our Norwich groups. She is a former Young Carer who we used to support so she knows the ropes. Having a background of working with children, she is great at rounding us all up for new games and activities. Josh is our new Dereham Worker . 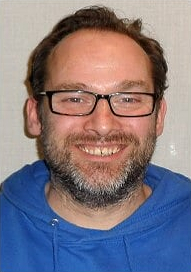 He has been a volunteer with us for nearly 2 years so we are pleased to welcome him onto our staff team . He is a Youth Worker and has a special interest in 1st Aid and Pre Hospital Care . We are sad to say goodbye to Oli ( previous Dereham Worker ) but say a big Thank you to him for all the years he lead the Dereham work and supported Connie with the Norwich groups . We would also like to welcome Kevin back on board as our new Administrator . Kevin is both a former staff member and current volunteer , supporting all areas of our work with Young Carers . We are pleased to have Ben join the staff team to pioneer a new group around Anti- Bullying . Connects will be working alongside the guys from the YMCA in this project . Ben will still be volunteering with the Cadet Scheme as a leader alongside Faith . Katie-Escorts on the minibuses and supports all of our Norwich groups and residentials when needed. Cadets/Mini Cadets Although these guys are Young Carers that we are currently supporting, they volunteer their time to support younger carers. They are like big brothers and sisters. They help us run all our sessions from running the tuck shop to escorting on the minibuses as well as coming alongside youngsters who are new and feeling shy/nervous. They are the voice that feeds back to us what our Young Carers want and need. 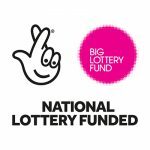 They support both the Norwich and Dereham groups.A BIG THANK YOU TO: Volunteers who give their time and expertise, and to all of our funders!